If you’re a coffee drinker, you’re probably intimately familiar with how easy it is to end up spilling coffee on yourself or on the carpet, or a sofa, or in your car. It just seems to happen, despite how careful we try to be. The problem is that coffee is also one of those substances with strong pigment that stains easily. Fortunately, there are plenty of ways to get coffee out of various fabrics. One thing to note though is that if you put milk or cream into your coffee, you don’t just have a coffee stain anymore, but what’s known as a combination stain. This means you have two different substances in the stain: coffee tannins and protein from the dairy. You may need additional methods to remove a combination stain from materials. The first step to removing any wet stain is to quickly apply a clean white cloth or plain white paper towel to the stain to blot up the liquid. Make sure not to rub or otherwise spread the stain around. Next, combine two cups of cold water and a tablespoon of dish soap. Using another clean white cloth, soak it in the solution and then sponge the stain. Blot the stain further with a dry cloth, then repeat the sponging step if the stain still isn’t gone. You can continue to repeat these two steps until the stain is gone. Once the stain is gone, use pure cold water to wash off the cleaning solution, then blot it dry with a clean, dry towel. Try not to get the carpet or upholstery any wetter than is necessary to remove the stain. In some cases, if you are able to get to the stain right away, you might only need some cold water to lift it out of the material. 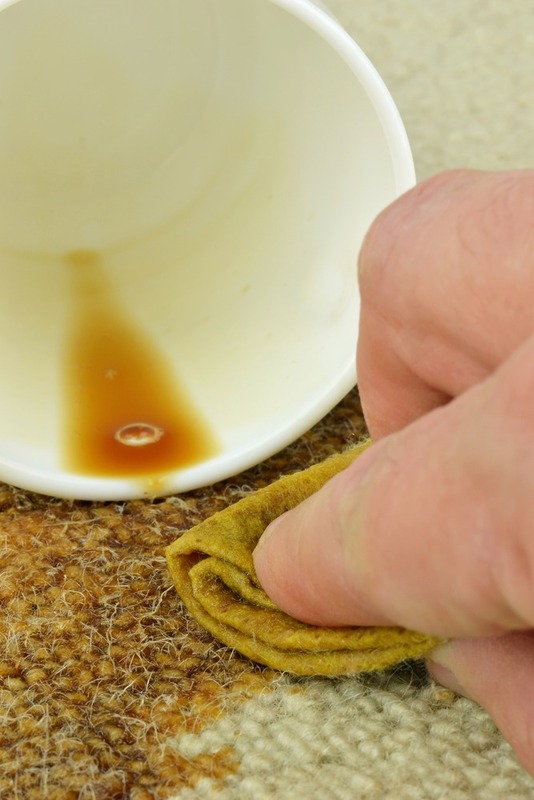 It’s always more difficult to get dried or semi-dry stains out of carpets or upholstery. It’s also very important that you don’t over-saturate carpet stains as this can lead to mildew in the pad or backing. As previously mentioned, coffee mixed with cream or milk leads to a combination stain, where protein is the main staining ingredient. It’s important not to treat this kind of stain with any heat or warmth as this will curdle the protein and make it set into the material. In general, you can otherwise remove the stain in the same way as a black coffee stain. Removing coffee stains from clothes depends first on what type of fabric it is. Synthetic fabrics such as acrylic, nylon, polyester and spandex are easier to remove stains from than natural fabrics like silk or leather. Start by blotting the wet stain with a clean, dry cloth, then soak the stain in four cups of warm water, half a teaspoon of dish soap and one tablespoon of white vinegar. Soak for about 15 minutes and then rinse with warm water. After soaking, use some rubbing alcohol with a sponge and blot up anything that’s left. Then feel free to wash the clothing as normal. Remember, if the coffee has cream or milk in it, don’t use warm water on it. 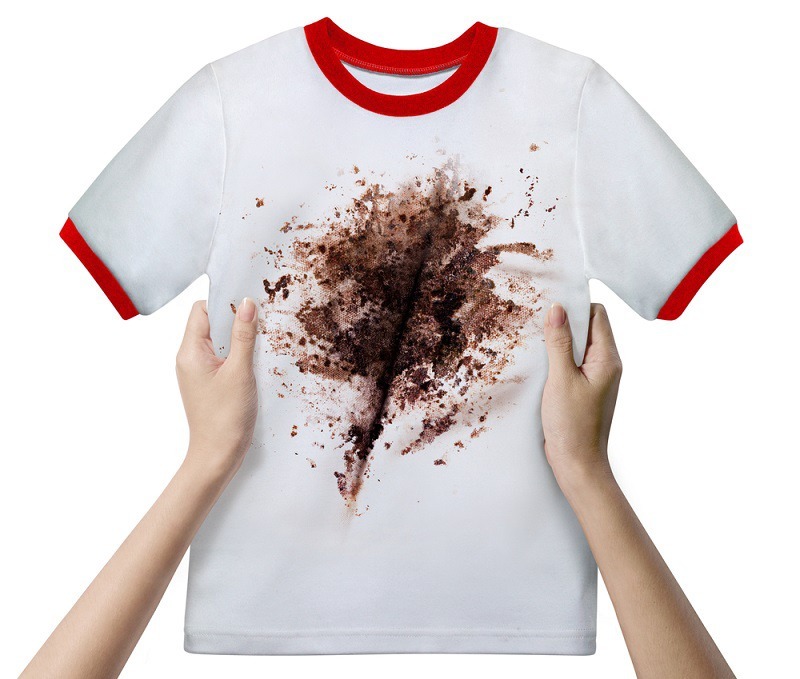 Do not put the clothing in the dryer until the stain has been completely removed or you will set it permanently. Cotton and linen clothing are also fairly hardy and stains come out of them pretty easily. Start by blotting the coffee with a clean, dry cloth, then use a stain remover to pretreat the area. Follow the instructions on the stain remover for how long to wait, and then wash the garment. As long as the stain comes out, you can then dry it as normal. If you don’t have a stain remover handy, you can soak the cotton or linen clothing in the same solution previously mentioned for synthetic fabric. Follow the same instructions with rubbing alcohol and rinsing. Let the clothing dry naturally before washing normally. A third method of removing a coffee stain from cotton or linen involves stretching the portion of clothing over a bowl and securing with a rubber band. Heat water to near boiling at 200 degrees Fahrenheit, then pour over the fabric. This temperature of water is usually safe for cotton fabric, but it might damage certain dyes, so it’s best to use on white or light-colored clothes only. If you’re wondering how to get a stain out of a white shirt, you can simply use one of the methods above corresponding to the material of the shirt. An extra tip if your coffee stain contains cream is as follows. When you get to the presoak part of the stain removal process, use a detergent that has enzymes. 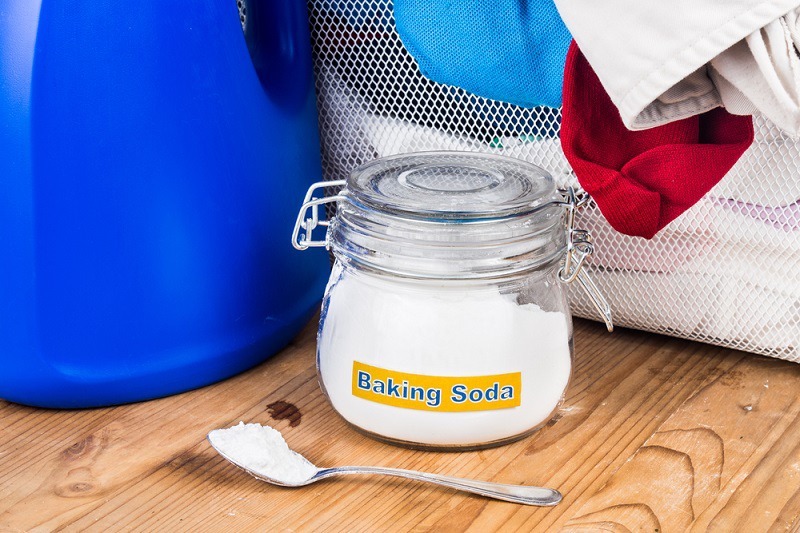 For even more stain removing power, make sure your laundry detergent also has enzymes. Believe it or not, there are some other interesting substances that can be used to effectively clean coffee stains in a pinch. Some of these might make sense, and some might make you go what? With club soda, you can just pour it on the stain and blot it until the stain lifts. It can be used on clothes, carpets or tablecloths. You might not want to waste beer on a coffee stain, but light beer doesn’t stain so you can pour some over the top of the stain and rub it in until it disappears. Vinegar is a pretty tried and true stain remover and you can moisten a towel with it and blot the stain. Several of the previously mentioned methods use vinegar as a presoak liquid along with water. Baby wipes can be used in a pinch to zap stains as their cleaning power takes care of the stain while also blotting the liquid. Baking soda is good to use in removing coffee stains from china. Take a moist cloth and dip it in the baking soda to form a paste. Rub the stain on the china until it disappears, then wash as normal. Another method for removing coffee stains from dishware is to use salt or a combination of salt and vinegar. Probably the most surprising of these methods is egg yolks. Whip up an egg yolk and then rub it into the coffee stain with a clean towel. Rinse the stain with water and it should disappear.